Another year, another Jackbox Party Pack. 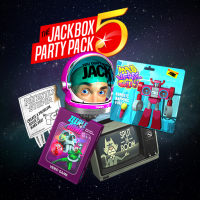 Since its initial release in 2013, the Jackbox Party Pack has been a delight especially when you reach that point in a party where it’s largely over, but the people still at the house are sobering up or are close to considering leaving after finishing the last of your spiked punch. The fifth Party Pack continues that tradition, and it’s definitely the most fun its been in a while, primarily because of two games. If you’re unfamiliar with Jackbox, it all started with the popular yet impossible PC trivia game You Don’t Know Jack. While being absolutely difficult, it was totally approachable because the game was self-aware and acknowledges that you’re there to have a good time. The Jackbox Party Packs put a handful of games into a box with the hopes of having at least one that sticks, and I’d say they’ve been pretty successful with every iteration. The ability for anybody to play with their mobile device makes it all the more appealing and while there have been a handful of copycats out there, nobody has been able to come close to the success that the Jackbox Games have had. 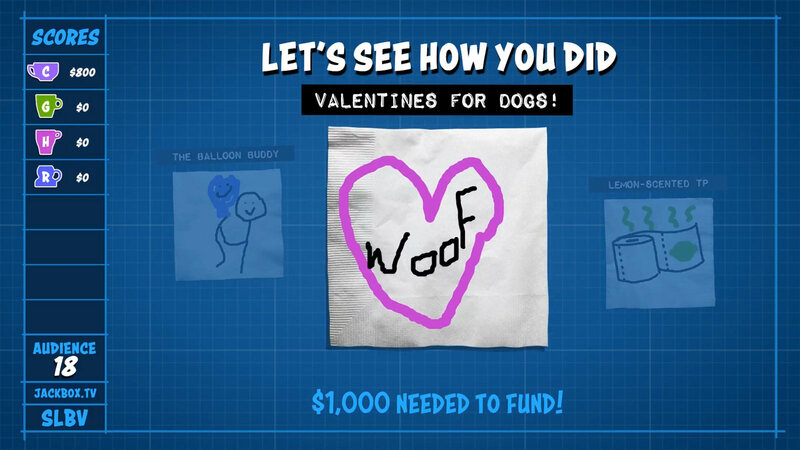 Yes, “drawing” games are back in The Jackbox Party Pack 5. But hey, if you can draw on your mobile device, more power to you. This year’s Party Pack includes yet another version of You Don’t Know Jack and new games called Split the Room, Mad Verse City, Patently Stupid, and Zeeple Dome. The latest version of You Don’t Know Jack is the first update to the game since the first Jackbox Party Pack and is also the first one to make use of all the control options. You Don’t Know Jack: Full Stream is still irreverent and relies on mindless trivia to keep players on their toes. But whether you’re making mistakes in a “Dis or Dat” or are completely flabbergasted from a “Gibberish Question,” you can rest assured knowing it’s almost impossible to do really well in the game. That in and of itself is one of the reasons why the game is frustrating, but it’s also part of the fun. Split The Room is a bit of a tough one. Hosted by a sarcastic cat (I’m wondering if I should even have added the sarcastic label, considering that’s what the Jackbox is all about), Split The Room gives you a bunch of scenarios and requires you to fill in a blank. The object of the game is to obviously split the room with their votes of what they’d rather do, but depending upon how much you know your competition, it’s really easy to have the entire room go one way with it. It requires a different brand of thinking, which makes it hard to decide whether or not someone would really like it. It’s not about trolling. It’s about taking advantage of your knowledge of how people in the room think. Mad Verse City is probably the most casually enjoyable game in this Party Pack. 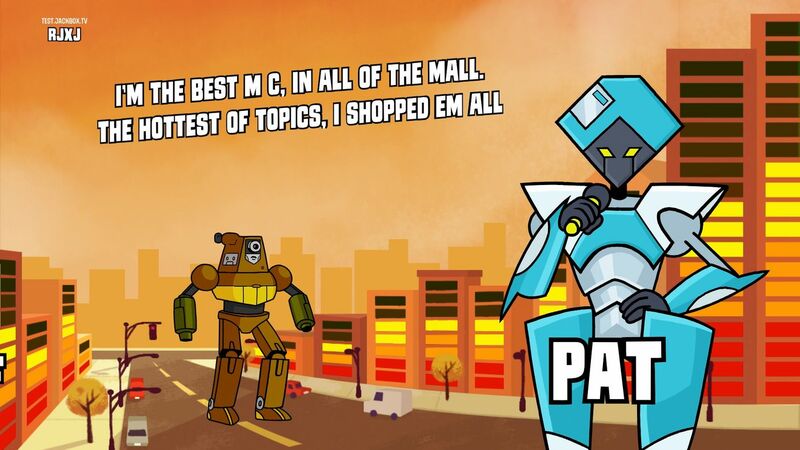 Mad Verse City is probably the best game of the bunch. The game throws a bunch of scenarios at you with blanks that you fill in and try to rhyme. From there, the game will pit you against other players who had the same scenarios and act out the raps that were written. That said, you don’t have to rhyme. Heck, you don’t even have to write anything as sometimes the CPU will fill something in just as hilarious. You can be as clean and dirty as you want, but either way, it’s still a joy seeing robots rap at each other with lyrics you chose yourself. At the final round, the best raps go against each other, so you can make the case that it really rewards the best flow. Patently Stupid is another game that’ll reward creativity, but it’s a mixed bag because it also relies on your ability to draw. The game throws everyday problems at you, and it’s up to you to come up with inventions to solve them. Again, these are fill-ins, so they can be as clever as stupid as you want them to be, but then you’ll also end up having to draw your invention on top of either having to actually present the invention PowerPoint-style, or having the CPU do it. Either one should have hilarity ensue. The final round picks a player at random to choose a scenario that wasn’t chosen in the previous round, and everybody has to create an invention for that situation. If you can draw, great. If you can’t, this won’t be as fun. Zeeple Dome is the action-based game in the collection and is essentially piñata in video game form. It’s a physics-based game where you take your little character, aim, and launch him up to hit a balloon kind of like how Puzzle Bobble or Bust-A-Move is played with the main difference being your character can bounce off walls and stuff. It’s a fun little game, but it also supports the least amount of players which isn’t great if you’re playing in a big party. You Don’t Know Jack: Full Stream will probably be the most known title of the bunch, but it’s really Mad Verse City and Zeeple Dome that’ll make this pack what it is, especially if you have all the other Jackbox Party Pack games. Do those alone make it worth the full $25? Probably not, but the good news is that all versions of the Jackbox are frequently put on sale, so that’s something to look out for. Is this THE version to get? I’d much rather have them all, but it’s really up to personal preference. I personally think the third Jackbox Party Pack is the best, while this one edges out last year’s. But either way you look at it, any Jackbox game is great for when your parties start to get a little stale. They’re also fun to stream to a mass audience if you’re a streamer.